The Einscan-SE and Einscan-SP 3D scanners are the second-generation of Shining 3D's Einscan desktop 3D scanners. Both are easy to operate and have excellent scanning quality. Both use safe, structured-light 3D scanning technology to capture geometry. Output options include OBJ an STL—great for 3D printing. The automatic software provides one-click scanning; the scanner automatically aligns multiple scanning passes and generates a mesh directly. 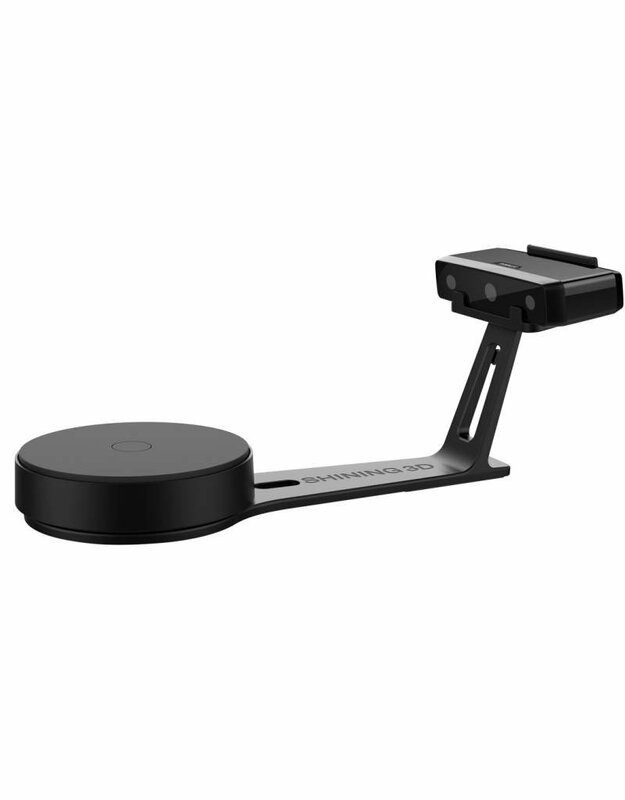 The Einscan-SE ("Elite") 3D scanner is a powerful companion for educators and individuals.